Earlier this month, in Basel, I had a chance to sit down with some of the executives at the TX Watch company. They had quite a few new timepieces to introduce in Basel this year. For now, though, I will focus on their new top end model, the TX 650 GT Flyback Chronograph. The new 650 GT is powered by a 600 Series four-hour fly-back chronograph movement with one-fifth of a second accuracy. The first thing I noticed when I saw the new 650 GT in person, was how refined it looks. The finishes have always been good on TX watches, but now they are even a nicer. The dial looks very luxurious, and even more upscale. The dial still features signature TX elements such as an orange seconds hand and accents. However, new layered elements, such as the screwed down metal trimmed 2nd time zone and chronograph displays, and an exposed date indicator, give this new TX a very appealing look. The 650 GT Flyback comes in four different variations: stainless steel polished with a black dial and black leather strap, stainless steel polished with white dial and brown leather strap, black PVD with black dial and rose gold bezel and black leather strap and black PVD case and bracelet with black dial and rose gold accents. Honestly, all four look great, and each one really has its own theme. For the first time, TX is offering a premium push-button clasp. The all metal bracelet uses a hidden butterfly clasp, but all the other versions come with straps, and feature the new push-button fold-over clasp. I am never opposed to a good buckle, but when you try on a fold-over clasp with push-button release, it is hard to beat the comfort and convenience. The new case design slightly resembles the 700 Series watches. Although, the new 650’s look is more elegant and simple. What surprised me most about the cases, though, is that they are nearly 47mm wide, yet they look and feel like a much smaller watch. Water-resistance is 100 meters. Sapphire crystal with double anti-reflective treatment. 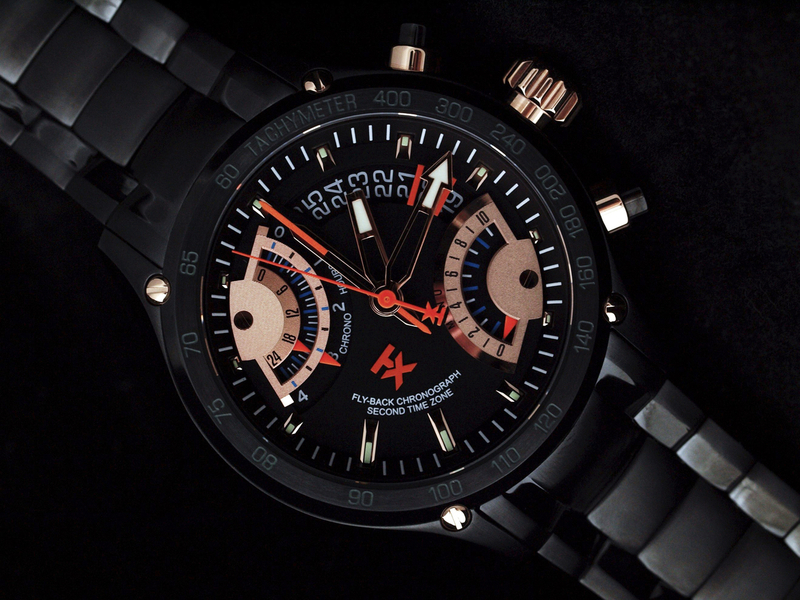 Powered by a TX proprietary high-hand quartz chronograph movement. Overall, the new TX 650 GT Flyback Chronograph is a well-executed timepiece and a perfect example of the continuous improvement that goes on within the TX organization. 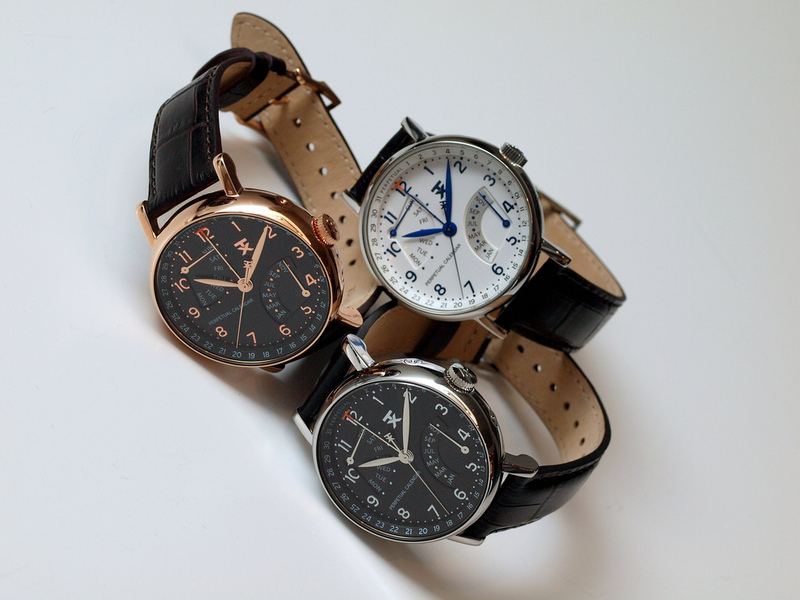 Their first offerings in 2006 were good, and with each year the watches keep getting better and better. Now with the introduction of the 650 GT, I think TX has created their highest quality timepiece yet. The retail prices will range from $650-$725.